Scrapbook Annie: Scavenger Hunt - two more last evening. We went to Chepstow Garden Centre to buy me a new bag. I also bought a pair of sandals. 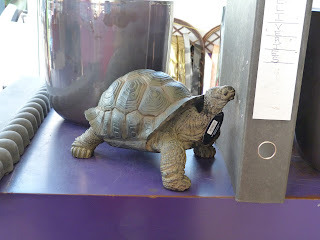 On the way out we spotted a turtle propping up the deliveries folder so we crossed that off the list. 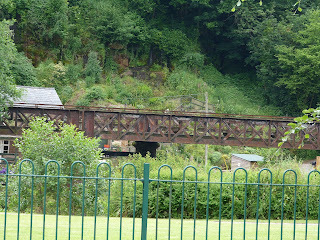 We kind of decided to go home the pretty way so we headed up the Wye Valley and I asked Mr M to slow down so I could get a picture of the bridge over the river at Redbrook. It is a footbridge that goes to the Boat Inn. If you want to drive there then you have to go a few miles downstream and then cross at the road bridge. Mr M intended to go to Jo's for dinner but they close at 5pm so we headed across country towards Abergavenny where there are several pubs that do food. We paused at The Bell at Skenfrith but a) they don't start serving until 6.30pm and b) as soon as we refused the wine list because we don't drink the man said that the chef wasn't arriving until 6.30pm and did we really want to wait? We decided he could keep his alcohol filled food and his wine list with the exorbitant prices and we headed towards home. Then we remembered Paige's. This is a fish and chip shop, not just any old chip shop it has a restaurant and they serve all sorts of fishy goodness. Mr M had Hake and I had Plaice. As you can see it is HUGE. 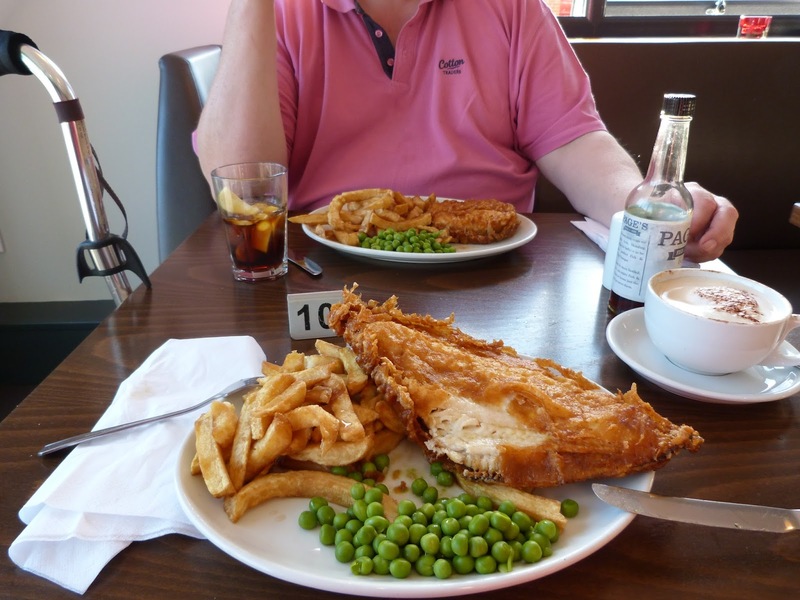 We made the mistake of having a king prawn starter so I ate the peas and all the fish but only half the batter and four chips. Yep, that's right, this chip loving woman ate only four chips because she was so full of delicious fish and I even left a little of the batter too. I'm really loving all the metal bridges. Yours is a beauty.